Whether you are a first time home buyer or you have been buying and selling homes for years, it is crucial to have as much information as possible. You need to know about current markets, how to win in that market, and where the market is going. It will also benefit you to know and understand the upcoming process so you know exactly what to expect and what you can get from sellers. 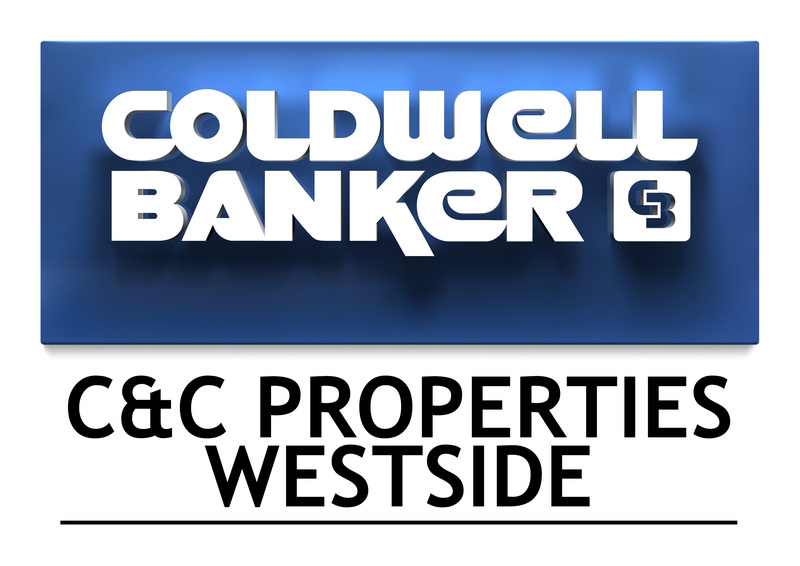 Every transaction is unique but we at Coldwell Banker C&C Properties use the same process every single time because it works. I know you are anxious to look at homes. You will profit greatly from knowing the whole process and what to expect every step of the way. I like to find out your "bonus items" and "must haves" that will make a house the perfect home. We go over the current market, current inventory, and how to win in that market. I walk you through strategy for winning in multiple offer scenarios without over paying, concessions you can get from the seller, financing options, your time frame, etc. Also, earnest money required at your price range and conditions we put on your offer to protect your earnest money. Basically, what to expect and all methods of mitigating risk. Please use a good lender. I am more than happy to recommend multiple lenders who are fantastic at what they do. The lender doesn't need a lot of information from you, but they do need to know how they can most effectively help from the financial documentation that you provide. Pick your ideal loan program and a price that your ideal monthly payment correlates to. This has to be done before presenting your offer. It is important to have this done before searching for homes so there are no delays once you find the perfect home that can result in you losing out on your dream home. Now the fun part. Lets look at some amazing homes at your convenience. Thanks to our productive initial consult interview we can tour homes that are not a waste of your time. Any Realtor can show you any home that is available on the market. Make sure that your Realtor also has access to "coming soon" listings and off market properties. Found the perfect home. Time to write an offer. I walk you through the contracts section by section so you know exactly what you are offering and how that applies to you. We need to tailor your offer to our knowledge of the seller's negotiating position. We research liens against the property, how much the seller owes on their mortgage, whether the property is in foreclosure, time on market, and patterns in price reductions to determine their position. And of course, tailor everything to your needs. Do you want/need the seller to pay some or all of your closing costs? Would you like a seller paid home warranty? All of these work into the net amount that we present to the seller. Multiple offer situations are common these days. You do not necessarily have to be the highest offer to win in one of these competitive situations. WAYS TO WIN IN MULTIPLE OFFERS. Offer presentation has to be done properly. Presenting you in a personalized way and as the fully qualified buyer that will easily close on the home is key. That being said, you are financially prudent and won't over pay for an asset. Most escrows last 30 to 45 days. Good lenders shouldn't need more than 30 days to get your loan clear to close. We are officially under contract. You have equitable title to the property and no one can stop you from owning the property in the future except for you. The power now shifts from the seller to you, the buyer. Now the real work begins. One of the conditions we put on your offer is your due diligence condition. Home purchases are as-is so you need to do your home work. I highly recommend getting a home inspection so that you can determine if the home is in the condition that you expect and so that we can find a few things that should be repaired by the seller before closing. Your offer is subject to satisfactory inspection and repairs negotiation. There are some very cool financing programs out there to fit anyone's situation. Once under contract your lender gets started on the property specific loan. The lender will need some financial info from you so they can process everything, they will order an appraisal, your loan will finish underwriting, and then you get that beautiful clear to close. Complications pop up all of the time in this process. Again, please use a good lender. I am more than happy to recommend multiple lenders who are fantastic at what they do. Signing, funding and recording, and then getting keys is the best part of the process. I love giving my clients a hand shake or a high five at the exciting appointment where I give you keys to your new beautiful home. Bottom line folks. Most of the valuable work comes after your dream home goes under contract. The fact that a buyer agent/broker can show you any available home is awesome, but that is not the primary reason why you hire someone to help during this emotionally charged period of your life. The value of a buyer agent in the modern real estate landscape is absolute. If you are in the market to buy a home and you are calling on yard signs and on Zillow listings you are doing it wrong. Most of those yard signs are under contract. Same goes for Zillow, but many/most of the homes that you see sold months ago. OK, so you did some research or maybe this is your 9th home purchase. Good, that means you are better able to determine who to hire, and more importantly, who not to hire as a buyer agent. All agents start out as buyer agents, and I don't like to speak ill of others, but the bar is set very low in this industry. The average full time agent does less than 5 transactions a year. Make sure to research agents/brokers for production numbers and past client reviews on sites like Zillow. If you use the first agent that you talk to for help on writing a contract it is like playing Russian roulette. The likelihood that they closed on a house in the last month, let alone the last year, is low. Experience matters and WHO YOU WORK WITH MATTERS. Buyer agency is free of charge to buyers. The seller pays the buyers agent commission. So you can hire a massively experienced Realtor who handles everything for you without paying a dime. So cool. If your agent or your agent's broker charges extra fees I beg you not to hire that person. They make our industry look bad. As you interview agents and brokers make sure they have a process and can clearly articulate what they do to bring you value that goes beyond opening doors and writing a contract. Every transaction is unique but we at the Jeantet Team use the same process every single time because it works. Ready to get started? Just say the word. SCHEDULE A CALL to get started.